Disney - "Alice in Wonderland"
This is children's fiction. It is also a film. It is a retelling of Tim Burton's innovative re-imagining of Carroll's classic tale. In T.T. 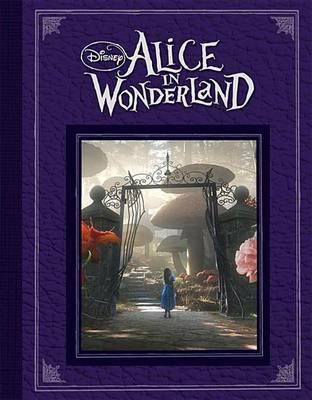 Sutherland's retelling of Tim Burton's 2010 film version of "Alice in Wonderland", readers are invited to follow Alice down the rabbit hole and into the topsy-turvy world of Wonderland once again! Here, she encounters the Red Queen, the Mad Hatter, the Cheshire Cat, Tweedledum and Tweedledee, the Jabberwocky and many more of the characters that made Lewis Carroll's classic tale so very memorable. In the world of cult director Tim Burton, nothing is normal and readers are sure to fall in love with the world of "Alice in Wonderland" all over again. T.T. Sutherland is a writer for Disney Editions. Tim Burton is the acclaimed director of numerous films that are now considered classics, including The Nightmare before Christmas, Edward Scissorhands, Beatlejuice, Batman and many more.